This PRIVACY NOTICE explains how we collect, store and use the information you have kindly provided. 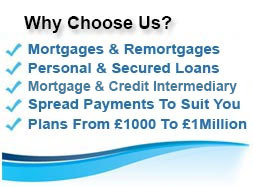 First Choice Finance is a trading style of First Choice Funding Limited (We). The company was established in 1988 and our company registration number is 2316399. Protecting your privacy and data security is very important to us. This notice explains how we collect, store and use the information you have kindly provided in line with the obligations of the General Data Protection Regulation (2018) and the Data Protection Act. We place paramount importance on customer service and always endeavour to meet your expectations. For clarity `personal information` is that which can be used to identify you. As a firm regulated by the Financial Conduct Authority (FCA), we are accountable for the products and services we provide through rules which are derived from law. Therefore we process data on the basis that `processing is necessary for compliance with a legal obligation`. In summary to meet our regulatory obligations we are expected to maintain records of services and transactions with our customers. Digital client data is stored on a secure server and access to our bespoke client data loan operating system is by way of a user ID and password. There is then a further level of security password needed to access the application so client data can be viewed and processed. Client data is backed up securely on a regular basis via a secured cloud data storage facility. We also have the ability to back up to secured external hard disks. Paper records are stored in a specialised secure off site facility. Our business is dedicated to arrange for you (or assist you) in obtaining a loan, mortgage or insurance product from our lender panel, insurers or other appropriate associates. Processing the data provided by you is necessary to establish the most suitable product for you from our financial product providers and intermediaries. 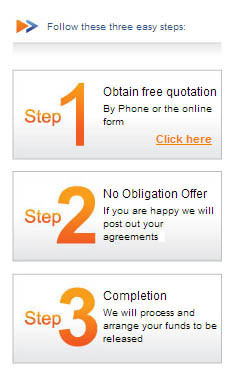 We may contact you by telephone, text, email, post or fax to progress your enquiry. Please note that telephone calls may be recorded for training, security, regulatory and internal statistical purposes. We will need to share your information with our lenders and / or certain other intermediaries to facilitate our service to you. From time to time we may employ agents or sub-contractors to process your information on our behalf. The compliance with the GDPR will also apply to our lenders, agents and sub-contractors. When considering an application for a loan or mortgage our lenders or we may ask your permission to search your credit history (searches) at established credit reference agencies (such as Experian and Equifax). Searches will not be carried out without your permission. If you agree to any searches the agencies add to your credit file details of them and this can be seen by other organisations that make credit searches. Some of our lenders may use credit scoring - we do not use credit scoring. Please ensure that you give us accurate information. To protect you from fraud our lenders or we may need to check your details with fraud prevention agencies. If you give false or inaccurate information and fraud is suspected this will be recorded. Consumer rights have been extended under GDPR. If you wish to discuss any of the rights from the list below or wish to make a complaint please contact our Data Protection Officer (D.P.O.) by email on advisers@firstchoicefinance.co.uk, by telephone on 01663 761 605 or by writing to D.P.O., First Choice Finance, The Old Courtyard, 103 Buxton Road, High Lane, Cheshire. SK6 8DX. The Right To Be Informed - We inform you of your rights through accessing our privacy notice via: our website and / or a posted document and / or an email and / or a text link. The Right Of Access - You can ask to see the data we hold on you. We will check your identity using reasonable means and then provide the information within one month, in a commonly used format. We will not normally charge a fee for this service. We may charge a ‘reasonable fee’ when a request is manifestly unfounded or excessive. The Right To Rectification - If you believe or become aware that relevant data we hold is inaccurate you can ask us to correct it. We will do this for you within one month if deemed necessary. We will not normally charge a fee for this service. We may charge a ‘reasonable fee’ when a request is manifestly unfounded or excessive. The Right To Erasure -This does not usually apply in our services. We have a regulatory requirement to retain customer data records. Please see `How Long Will You Keep My Data` below. The Right To Restrict Processing -You can ask us to stop processing your enquiry. We will stop processing without undue delay and within 1 month. The Right To Data Portability - This does not usually apply in our services. However where the request is reasonable we will aim to provide you with a copy of the relevant data we hold in a common format within one month of you requesting it. The Right To Object - You can object to our processing your data for marketing and potentially other purposes at any time. Rights In Relation To Automated Decision Making And Profiling – Some of our lenders may use these to enable them to make a lending decision. They are required by some of the lenders to be able to take out a loan, mortgage or insurance contract with you. We will not provide your data to a lender or insurer to make such a decision without your permission. You also have the right to make a complaint to the Information Commissioners Office (ICO) (which is a supervisory body) about how your data has been processed. 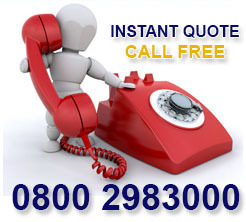 In the first instance please contact us directly on 01663 761 600. You may also contact the ICO directly, for their up to date contact details visit www.ico.org.uk. This data relates to sensitive areas such as: racial or ethnic origin, political opinions, religious beliefs, trade union membership, physical or mental health, biometric data, genetics and sexual life and will only be processed where it is needed to provide a service you have requested. You have the right to withdraw your consent at any time with regard to processing your special category data. In the majority of cases we will not disclose special category data. If we are required to disclose or process such data this will only be with your explicit consent. For example if you take out a new mortgage you may wish to consider life cover to settle your mortgage in the event of your death. 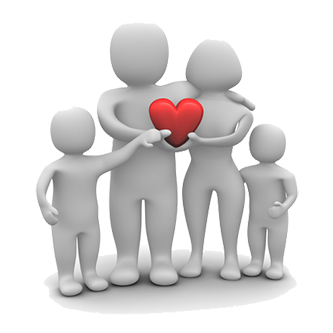 This may involve sharing information about your health which our insurers may need to offer you the correct policy. If you make a claim, any information you provide to the insurers may be put onto a register of claims through which many insurers share such information to prevent fraudulent claims and crime. A list of the participants and the address of the operators is available from the insurers. The rules and regulations that our business operate under dictate that we should keep data for a minimum period of 6 years. In addition to that we are aware that at any point in the future we may need this data to action enquiries by our customers, regulators, other legal bodies or for internal audits. We therefore have decided to retain such information for an indefinite period. You have the right to object to receiving marketing material at any time. In the first instance please contact us and we will deal with your objection without undue delay. 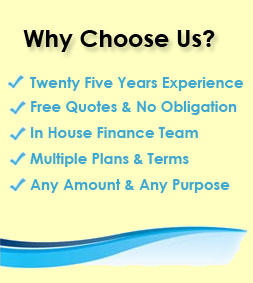 There may be times when we feel that a service or product offered by us or a selected third party may benefit you. Only where we have your permission to make you aware of the service or product we may contact you by post, telephone, email or other reasonable method to give you further details so that you can make an informed choice. In this scenario we would only expect to receive basic information to include: Your Contact Details, Name, Date Of Birth & Product Required. As part of our service we may need to pass your data on to another organisation in order to assist you with the right product. Any data we pass to them plus any data requested or gathered by that business will be held by that business for the purposes they have set out in their own privacy notice. Please ensure you are happy with their use of your data before accepting any agreement or service. The GDPR may not apply to companies in themselves but it can extend to named employees, sole traders and partnerships. When an application is received from a business, information may be sought from credit reference agencies on the company and/or partners and/or directors as individuals with their permission. We may occasionally use your details to assist us in understanding individual client needs and business trends in order to improve the products and services we offer. Have you had difficulty getting a loan? First Choice Finance may be able to help you find a guarantor loan with competitive Guarantor loan interest rates and with flexible loan payment terms.